TechnipFMC has been awarded an engineering, procurement, construction and installation (EPCI) contract by Husky Energy for the West White Rose Project in eastern Canada. This news was originally carried in CapProCon. The contract covers the supply and installation of subsea equipment including tie-in manifolds, flexible flowlines, and control umbilicals, which will connect the recently announced West White Rose Platform to the existing SeaRose floating production, storage and offloading (FPSO) vessel. The Husky West White Rose Project will use a fixed platform tied back to the SeaRose FPSO vessel. 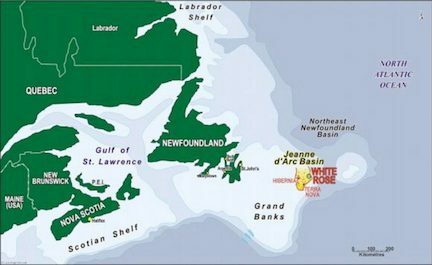 The main White Rose field is located approximately 350 km (217 miles) east of St. John’s, Newfoundland and Labrador, on the eastern edge of the Jeanne d’Arc Basin in water depths of about 120 m (393 ft).